Hadron Gospel Hour LIVE @Boston Comic Con 2014! 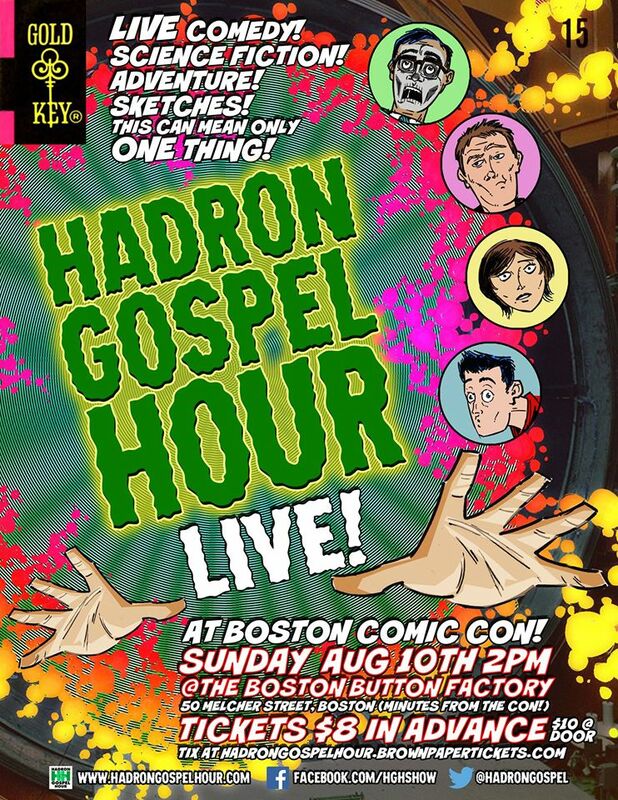 On Sunday Aug. 10th the Hadron Gospel Hour podcast INVADES Boston Comic Con for a very special afternoon of LIVE Sci-fi Comedy/Adventure radio drama! The fun starts at 2 pm, at The Boston Button Factory at 50 Melcher St. Boston MA 02210 (right around the corner from the Boston Comic Con at the Seaport World Trade Center) and your seat is available for just $8 via http://hadrongospelhour.brownpapertickets.com/! Tix will also be available at the door for $10. Sign on to the fb event page for updates. Season Two of Hadron Gospel Hour has begun! Listen to all of our episodes here for FREE.